Denny Jump (Bellevue, WA, United States) on 27 April 2014 in Sport & Recreation. It's Baseball time again for all the little league baseball teams around the world. 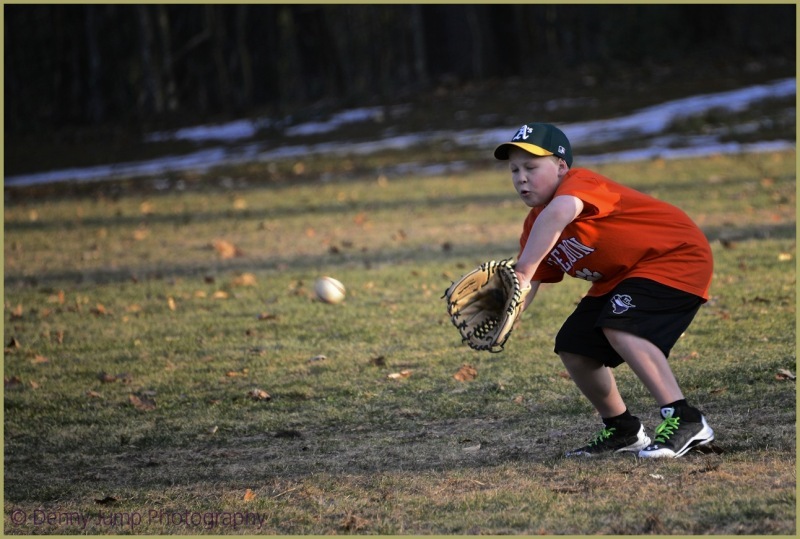 This is our youngest grandson, Ryan, 10, practicing his fielding skills. Wonderful timing and action shot. Love it and his energy expressive face and bright shirt. He is in good form for his practice. Nice shot.